Swiss weekly newspaper SonntagsZeitung presented its capacity to reveal the ‘insight story’ with a series of print advertisements featuring Matryoshka dolls. Each set of Russian Dolls is designed to encourage people to make connections between events, trends and personalities. Has experimentation with in vitro fertilization led to the cloning of human babies? 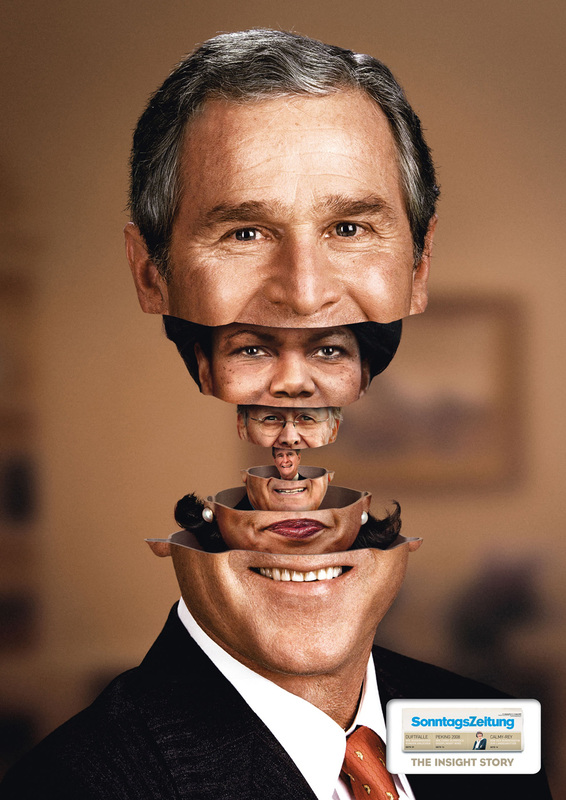 Who was really behind the policies and actions of George W Bush? 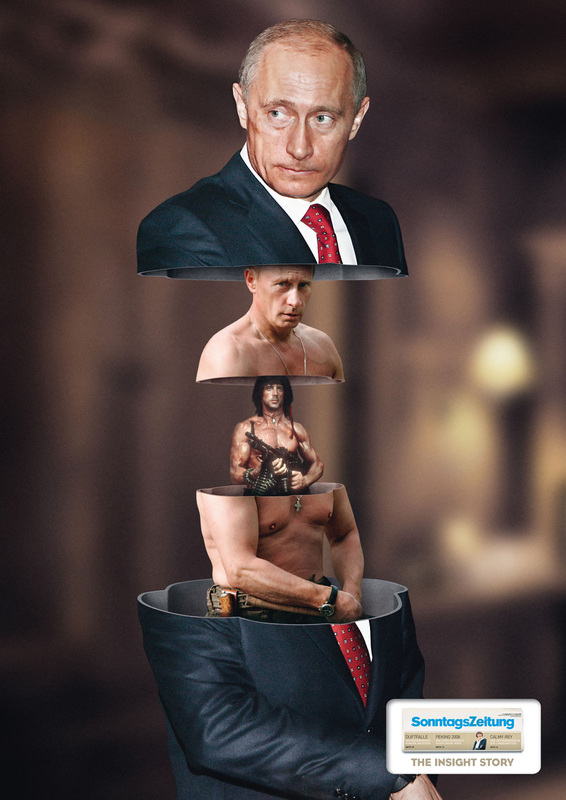 Is Vladimir Putin really a Rambo at heart? 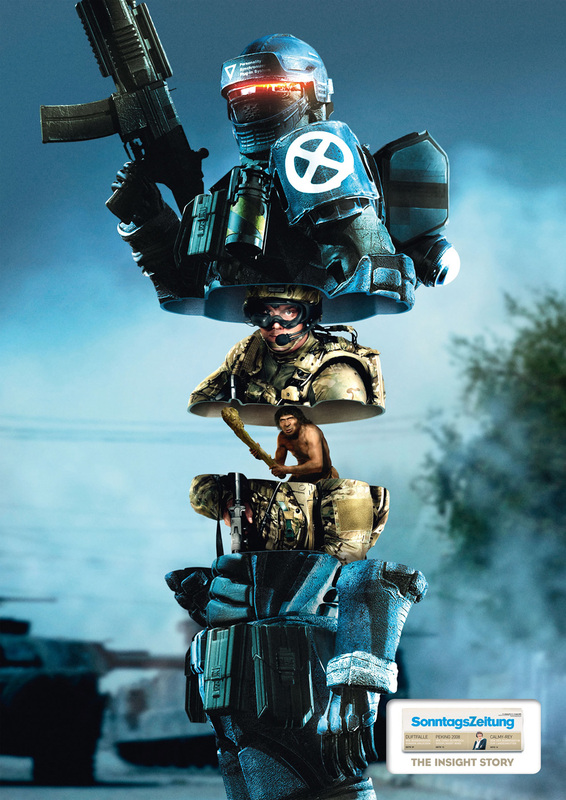 Is video game warfare, with “Personality Synchronizer Plug-In System”, just a new expression of the same fighting instinct found in cavemen? 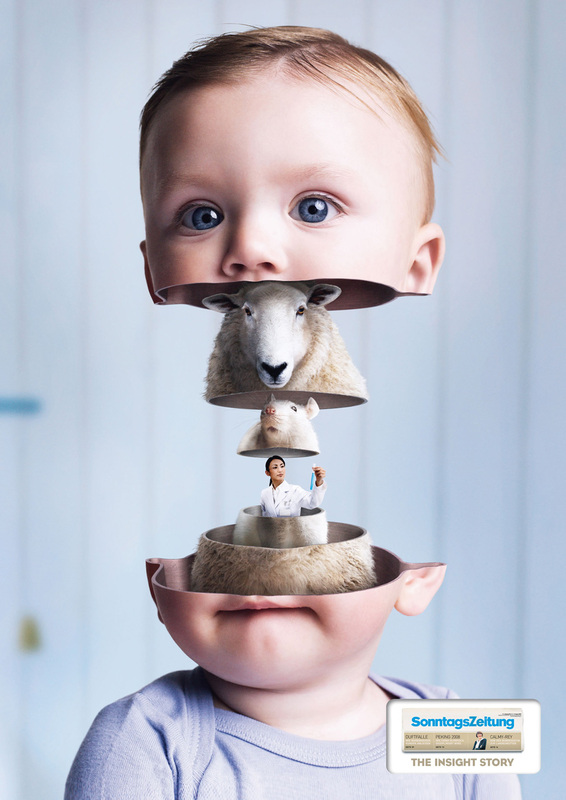 The Insight Story campaign was developed at Advico Young & Rubicam, Zürich, by creative directors Philipp Skrabal, Christian Bobst, copywriter Martin Stulz, art director Rob Hartmann and photographer Scheffold Vizner.